CLOSEOUTS. 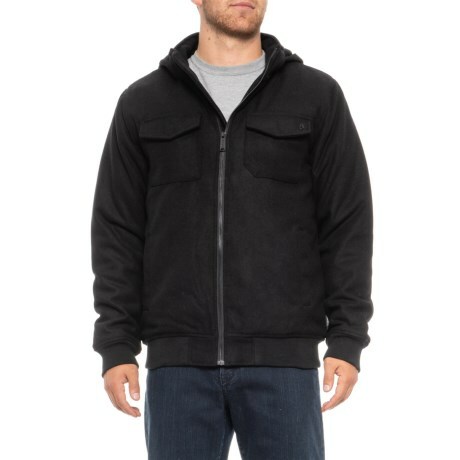 A boiled-wool-blend exterior backed by a quilt-stitched lining and low-bulk synthetic insulation combine to make the Nixon Admiral jacket a stylish and cozy topper for chilly days out and about. Available Colors: BLACK. Sizes: S, M, L, XL.